In the wake of the first two eliminations in this year’s playoffs, we thought it would be interesting to take a look at how Jarmo Kekalainen’s aggressive trade deadline strategy may have been applied to the 2007 Sabres. So we endeavored to apply a similar approach to what the Sabres could have done in 2007 while staying within the limits of the salary cap and realistic moves that were available at that time. Along the way we unpack the series sweeps suffered by the Penguins and Lightning, discuss the signings of Casey Fitzgerald and Jacob Bryson and touch on the disappointing attendance at this year’s Frozen Four. For a team hoping to reshape their identity this offseason, the Buffalo Sabres are seriously short on talent and assets which can be parlayed into the type of deals which would bring about any sort of marked improvement. Outside of Ryan O’Reilly, who could fetch a king’s ransom should he be traded, the Sabres have scant few assets they can give up in trades. They’re short on picks and expendable prospects with value. O’Reilly is the name on the tip of everyone’s tongue and San Jose’s first round pick is another valuable option but there isn’t much beyond that. One avenue available to Botterill is a path he’s ventured down once during his time as the Sabres GM. Taking on salary to land the player he’s seeking. Even with the added cap hit that Jason Pominville carried, the deal that brought Pominville and Marco Scandella to Buffalo was a coup for the Sabres. Botterill was able to acquire a solid defenseman for his top four for a pair of forwards who were quickly becoming spare parts in Buffalo. The Sabres took on about $3mm in cap when it was all said and done, a minor uptick to unload dead weight and seriously upgrade the blueline. The third round of the NHL Draft is hardly an electrifying portion of the event. The picks all hold fair value on the floor and in trade negotiations, but in either case you’re not referring to any blockbuster moves. However, the Buffalo Sabres’ own involvement in the 2016 third round was actually somewhat interesting. Not so much for the picks they made, but for the ones which found their way to other teams. With news breaking this week that the NHL and NHLPA have agreed on the structure for a future expansion draft, the maneuvering and preparations across the league can begin in earnest. Reaching an agreement on no movement and no trade clauses was among the most important unanswered questions surrounding the way teams will form their protected lists. With the potential for an expansion draft taking place as early as next summer, the need for that determination was obviously important. One position that will get plenty of focus will be between the pipes. As there is only one option for protecting goaltenders, there is a near guarantee that a pair of solid goaltenders are headed to Vegas should a draft take place next summer. 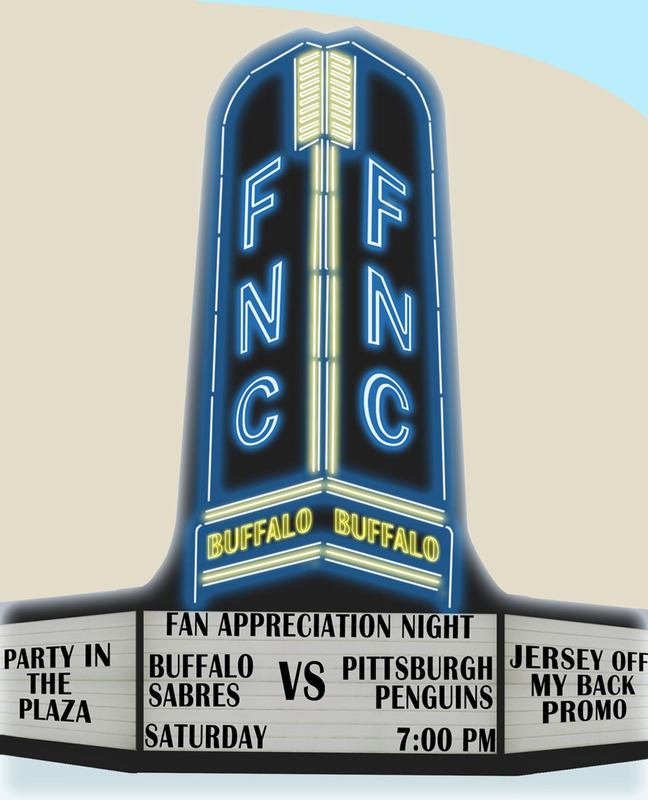 One final poster for the season with an old theater marquee flavor. We’ll see you next season with 41 posters for each home game. As the final two weeks tick away until the Sabres make the first pick in the Tim Murray era, Tyler and I decided to team up to offer an all-encompassing analysis of how the most recent Cup winning teams were constructed. We started with the 2008-09 Pittsburgh Penguins and went straight through this year’s Kings and Rangers rosters. We found a number of different trends and traits on each of these teams. One trait they all shared was the possession of at least one high pick (fifth or higher) who was either drafted by the team or became a priority acquisition at one point or another. However, just as important as these players were to their respective teams, proper acquisitions via trades or free agency served as an equally important trait for each and every one of these teams. 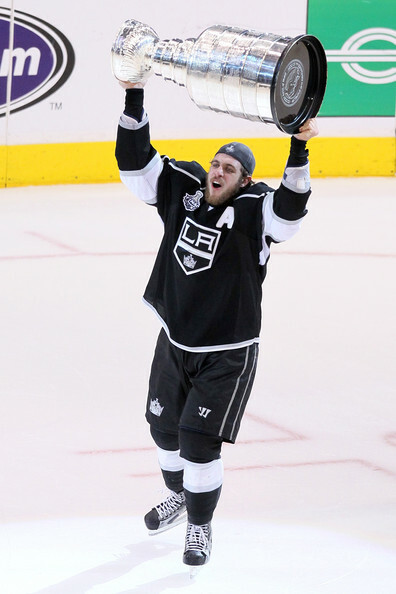 Anze Kopitar: picked 11th overall in 2005. Our goal was to offer a comprehensive analysis of each of these teams to illustrate exactly where the Sabres still need to improve their roster outside of simply winning the Draft Lottery. Chris: The current state of the Sabres has inspired a lot of debate regarding rebuilding and the best course of action to take. One particularly incendiary stance taken by Jeremy White is that it doesn’t matter who your GM is so long as you’re picking at the top of the draft. While I’m sure his point was that anyone can pick first since you’re likely to land a surefire stud with a top-three selection, the comment has turned into a rallying cry both for White and his critics. I know we both disagree with his premise given that hockey teams are comprised of 23 players, not one or two. Without giving away the entire argument in two paragraphs, I feel it’s important for anyone to understand that shaping a championship team takes a hell of a lot more than simply picking first a few times. It’s a perfect storm of drafting, trades, free agent signings and cap management. Comparing the state of the Sabres to other teams who have enjoyed a turnaround after picking high – Colorado comes to mind as a great example – it’s safe to say that Aaron Ekblad or one of the Sams aren’t going to turn things around by themselves, no? Now that the NHL’s final four (and last four Cup champs) have advanced to the Conference Finals, it is time for another edition of playoff picks. While I was a respectable 6/8 in the first round, I only managed two correct picks for the four second round series. While 50% is great in baseball, it isn’t all that fantastic considering the picks I made. The Conference Finals pretty much have the exact four teams most expected to see when the playoffs first opened and these four favorites certainly haven’t disappointed. Maybe Los Angeles wasn’t expected to advance to this point, but the other three were certainly penciled in.